How I made over £20/hour while I was on maternity leave! “… apart from all the excitement and nervousness, I felt about having my first child, my main concern was how am I going to survive on the statuary maternity pay each month…”? Having a baby is great, I LOVE being a mum. But, when I started my maternity leave apart from all the excitement and nervousness I felt about having my first child, my main concern was “how am I going to survive on the statuary maternity pay” ? *BORING GOVERNMENT TALK* “Statutory Maternity Pay ( SMP ) is paid for up to 39 weeks. You get; 90% of your average weekly earnings (before tax) for the first 6 weeks. £140.98 or 90% of your average weekly earnings (whichever is lower) for the next 33 weeks.” That’s according to the gov.uk website. So it’s definitely not fake news. Now, this is less than half my normal pay :(. Although it’s better than nothing, you can understand why I was a little bit worried. 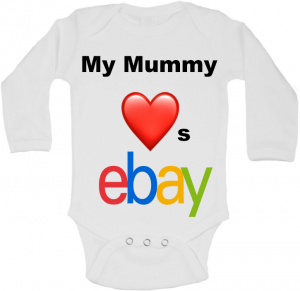 Anyway I’ve always enjoyed going to car boots on a Sunday, even Saturdays (if I got the chance) and to be honest during the run-up to having my daughter I pretty much lived on eBay, just watching, searching, seeing what different things went for on ebay… so this is what gave me the idea! There was always something TOO expensive on eBay that I really wanted but couldn’t bring myself to bid on. Just because I knew I could buy it for a couple of quid at a car boot sale ? So, one week I went to my local car boot to have a mooch and see what bargains I could find. 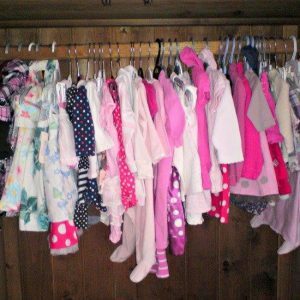 I was shocked to discover brand new baby clothes with tags, designer baby clothes etc for literally £2 or £3 per item!! I obviously bought them at this incredible price (even though they wouldn’t fit my daughter). I couldn’t help it. I ended up spending £25 in total coming away with 4 BAGS of brand new baby clothes!! When I got home I put them straight on eBay (7-day listing?) and to cut a long story short the following Sunday when they had all finished, I’d made a clear profit of £47 as everything sold for just over £72! I’d spent about an hour photographing and listing and then another hour packaging them up so thinking about it I was making over £20 an hour doing 2 things I love doing!! ?Best job in the world (except being a mum!). We’ve got quite a few eBayers who store with us, quite a few pop into reception now and again and we talk about all the odd things we find and sell on eBay and just life in general. Anyway, if you need a bit of storage space, for eBay or if you’re moving home click here. We’re always happy to meet new people.